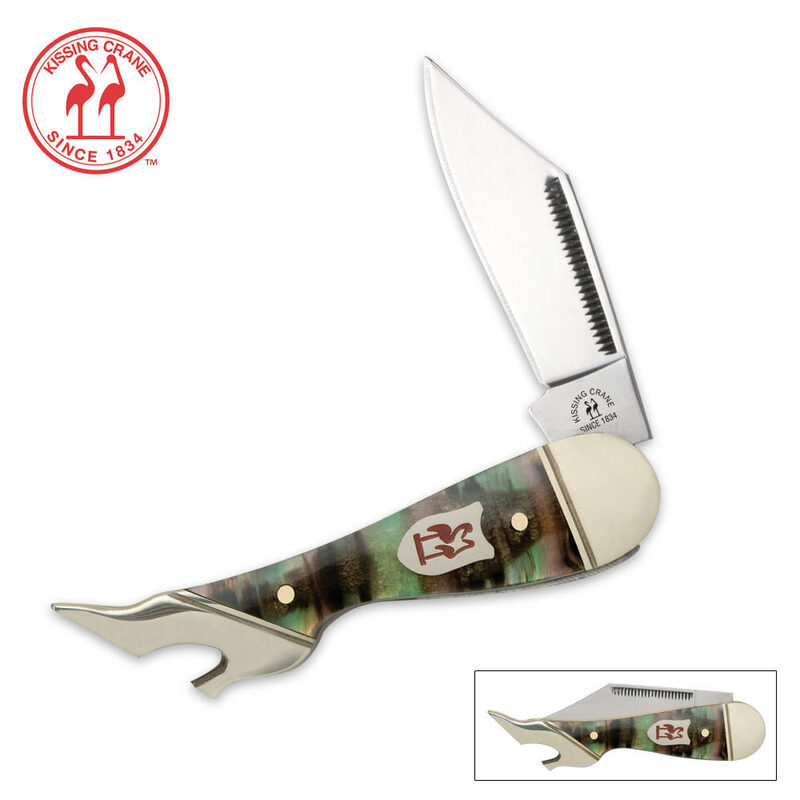 Kissing Crane Leg Abalone Folding Knife | BUDK.com - Knives & Swords At The Lowest Prices! You won't find a better folding pocket knife at a better value than this classic Leg knife from Kissing Crane. From the quality blade to the handsome abalone handle, this pocket knife is sure to please. Well made and kind of cool. Got one for a friend and the ditzy thing forgot it was in her purse when she went to board a plane so she had to give it up. TSA enjoy it please.